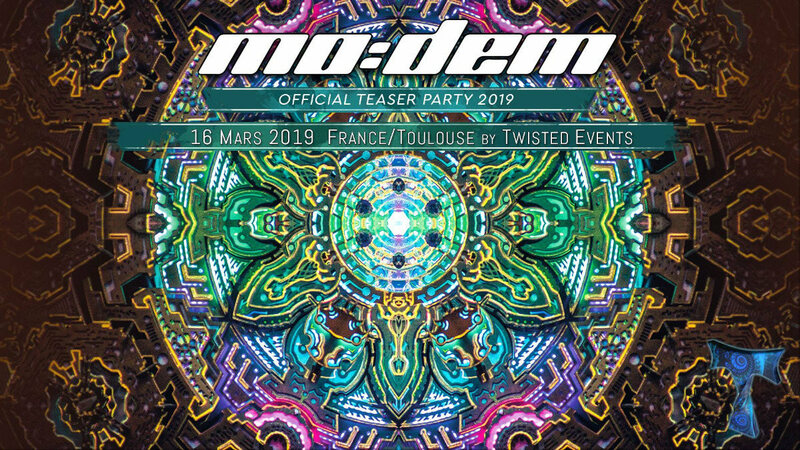 Eager to get closer to his French public, the MoDem Festival 2019 (Momento Demento) joins forces with Twisted Events and settle down in France on March 16th. The French stopover of the famous Croatian festival will see seven stars of psytrance perform at «le Phare» in Tournefeuille, 10km from Toulouse, in a setting directly inspired by the most psychedelic festival in Europe. Thought as a space of creativity and considered as a zone of possibilities, «le Phare» allows the public to experience an atypical musical and scenic discovery. A golden opportunity to discover the Modem spirit more closely, through a unique evening in France inspired by an 8th edition already sold-out in 2019.